If the Orthosis requires extra width shoes look for sizes labeled E, 2E, 3E, 4E. Proper width is the most important feature of a shoe. If this results in some extra room at the toes this is okay. We also suggest a shoe with a rounded toe. 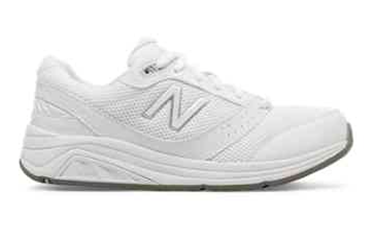 Brands that commonly come in extra width shoes include: New Balance, Brooks, Saucony, Etonic, Aesics, Skateboarding Shoes. Look for shoes which have a removable insert. By removing the insert, you can gain extra depth inside your shoe. Select a shoe which is ½ – 1 size larger than what you would normally wear. 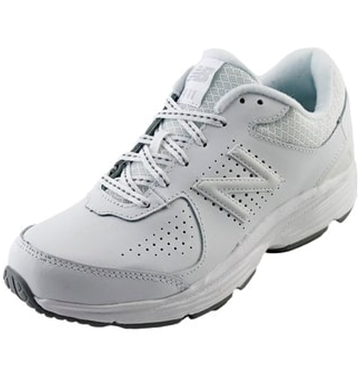 Laces or Velcro will make it easier to put on and take off your shoes over your orthosis. Avoid elasticized laces and any shoe that slips on and off. Try shoes on towards the end of the day, this is because your feet swell throughout the course of the day. Using a shoe horn can improve independent donning of shoes. Shoe horns come in long and short varieties. Try using a shoe horn when you receive your next orthosis to see if this helps.